The Opening Press Conferences of EHF EURO 2016 were held across Poland on Thursday, 14 January 2016 as organisers, teams and fans countdown to the start of the first major handball event of the year. Together with the federation's media and marketing partner for EHF EURO events, Infront Sports & Media, the EHF has announced that over 175 countries and territories will broadcast the event. The media rights agreement for the home market Poland is with POLSAT - also handling the host broadcast supervised by Infront. Coverage in other key markets includes Germany with public service broadcasters ARD/ZDF, France and MENA region with beIN SPORTS, Denmark with TV2 and Sweden and Norway with the free-TV channels of Viasat. Also the entire Latin America region including Brazil, Central America and Mexico is covered through agreements with Televisa Networks and ESPN do Brasil. Infront closed agreements again in the Netherlands (Ziggo Sport) and Turkey (Sport TV). Over 1,200 media representatives working in television, print and online media will be reporting onsite across the championship. The official sponsor line-up for 2016 sees both long-standing and new brands committed to the event. Seven official sponsors and five advertising partners will all benefit from TV visibility. Official Sponsors are: AJ (mail order office furniture, materials handling and storage solutions), BAUHAUS (workshop, house and garden specialist), engelbert strauss (functional work-wear manufacturer), Grundfos (leading pump manufacturer), Intersport (sporting goods retailer) and new to 2016 MoneyGram (leading money transfer and payment services company) plus the VELUX Group (windows and blinds manufacturer). 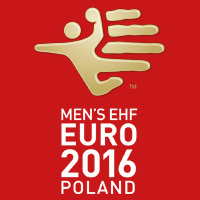 The official championship website at www.ehf-euro.com is available in English and Polish and provides extensive information including live blogging throughout the tournament. Additionally, live and on-demand streaming in English commentary is provided of all 48 matches at www.ehfTV.com. Handball fans will also be able to enjoy near-live viral clips, daily highlights, best goals and programme teasers, produced by Infront, on the championship’s official YouTube Channel (www.YouTube.com/ehfeuro). The EHF EURO 2016 team will offer extensive coverage across social media channels including: Twitter (www.twitter.com/ehfeuro), Facebook (www.facebook.com/ehfeuro), Instagram (www.instagram.com/ehfeuro) and Snapchat (ehf_live). The official Men’s EHF EURO App presented by Grundfos has been launched and is available for Apple and Android devices. Finally, as a completely new initiative at the EHF EURO 2016, a dedicated WhatsApp service has been launched to deliver the latest content directly to fans on their mobile phones. As of 15 January 2016, Europe’s top 16 teams will compete across the four cities of Gdansk, Katowice, Wroclaw and Krakow playing a total of 48 games for the European Championship title. The semi-finals and finals will take place in the TAURON Arena, Krakow with a capacity of 15,328 spectators on 29 and 31 January respectively.